January 19, 2012 / May K.
Activin A is a dimeric protein complex which enhances the liberation of the follicle-stimulating hormone (FSH) from the pituitary gland. Therefore activin indirectly controls the development and reproductive processes of the male as well as of the female body. The protein data bank entry comprises four activin beta-A chains in complex with four follistatin-like 3 (FSTL3) proteins. 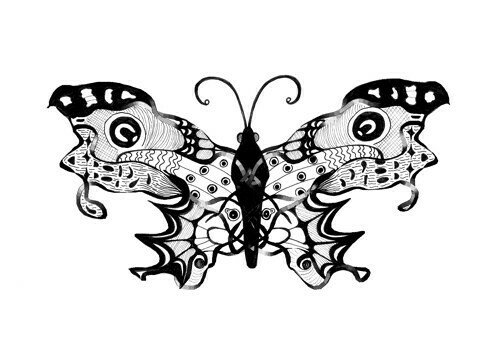 The “Butterfly” consists of an activin beta-A dimer (Activin A protein). Thank you, George! I’m also happy to follow your interesting blog. 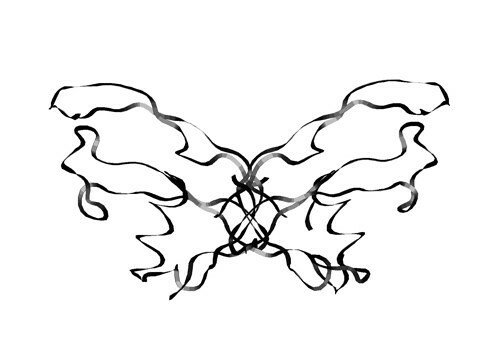 I’m currently trying to draw some proteins interacting with DNA. Hopefully, I will some interesting images:). this is truly fantastic stuff! some wonderful creativity going on here, I particularly like the drunken girl, I look forward to seeing more of your work! Thank you! 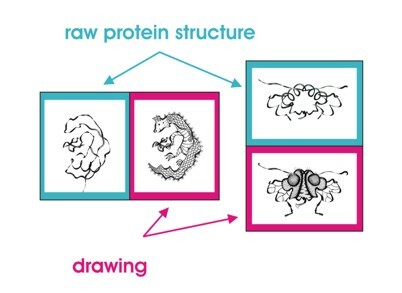 :) It’s always very satisfying when the drawing reflects the function of the protein (as the drunken girl)… but unfortunately not always possible to realize. I like your art. Nice butterflies! I lIke this one. Its really great!